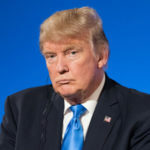 Over the weekend, Palmer Report explained that while the new Democratic House majority obviously intends to destroy and oust Donald Trump, the most effective way to do that is not to immediately jump into impeachment proceedings. Instead, the best chance of impeachment actually working is if the Democrats use their newfound subpoena power and committee hearing control to severely weaken Trump first. Sure enough, here comes the boatload of subpoenas. Internally, House Democrats are preparing to launch a “subpoena cannon” in the direction of Donald Trump and everyone in his orbit, according to Axios. In all there are at least eighty-five different targets for these subpoenas. In our estimation, that’s enough to include Trump’s cabinet, his White House advisers, his campaign advisers, and his family. It’s also worth keeping in mind that when the House Intelligence Committee was under Republican control, various Trump-Russia figures raced to testify before the committee, so the committee could falsely declare their innocence. The trouble for them now: their testimony is still on record, and now it’s about to fall under control of House Democrats. If any of Trump’s people lied during their testimony, look for quick criminal referrals on the part of incoming committee chairman Adam Schiff.